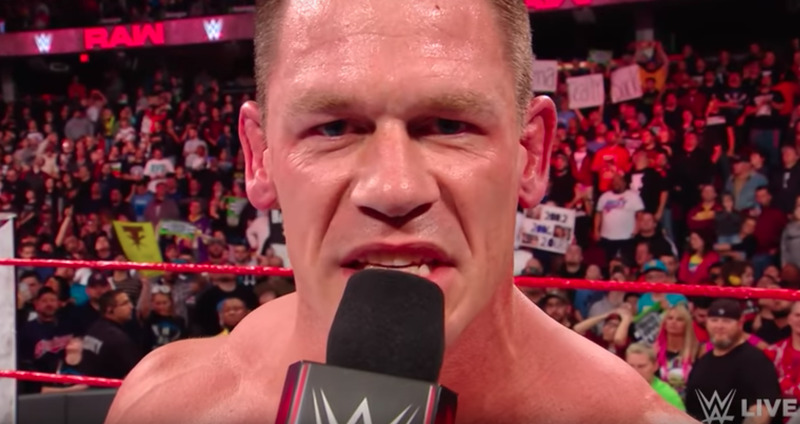 WWE / YouTube screenshotJohn Cena would love to share a ring with UFC fighter Conor McGregor. WWE superstar wrestler John Cena would love to share a ring with UFC fighter Conor McGregor. Cena stopped just short of formally inviting McGregor into a professional wrestling event, but it is a match-up the Irishman may enjoy. WWE superstar John Cena would jump at the chance to share a ring with UFC fighter Conor McGregor, but there is one massive catch – the bout would have to be in the world of professional wrestling. McGregor is one of UFC’s biggest stars. 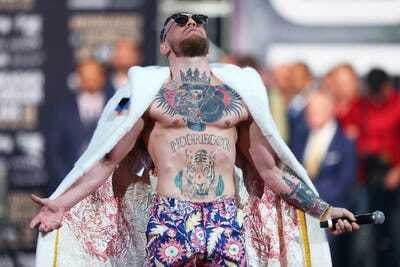 The fighter has performed in the two best fights in the entire history of UFC, is a two-weight world champion, and made approximately $US100 million when he fought Floyd Mayweather in a boxing rules bout in 2017. McGregor is as famous for his fighting exploits as he is for his pre-fight antics and insults. His confidence on the microphone would therefore be an asset at WWE, and this is perhaps not lost on Cena, a 40-year-old with 25 championships to his name. McGregor lost in the 10th round when he fought unbeaten super welterweight Floyd Mayweather in a boxing ring last year. Though the 29-year-old is expected to return to UFC this year, Cena sounded excited at the prospect of a stand-alone match-up with McGregor, but stopped just short of formally inviting McGregor into WWE. Mike Stobe/Getty ImagesConor McGregor once had choice words for John Cena. There is, of course, an obvious weight discrepency between McGregor, a lightweight (155 pounds) and Cena, a hulking heavyweight (251 pounds). But this has not stopped WWE before. After all, Mayweather (who is 5 foot 8) once “knocked out” Big Show (who is 7 foot) during a professional wrestling show in 2008.